Cookies or cupcakes? That is the question. Well, I couldn’t decide either. 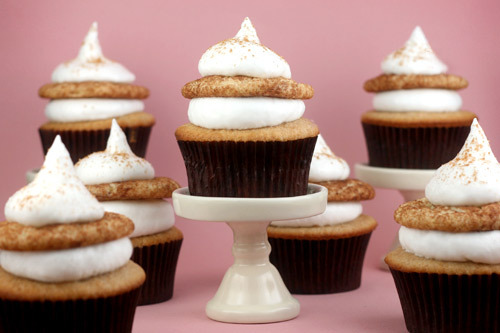 You see I’ve been mesmerized by a recipe for snickerdoodle cupcakes from Martha Stewart’s Cupcake Book. But, seeing as how I have never made snickerdoodle cookies, I had to make them, too. It’s only fair. Or at least it’s a good excuse… right? 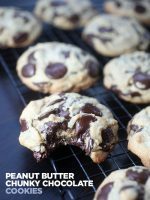 These cookies were really easy to make and I’m not sure why I’ve never tried them before now. Maybe their name made them seem difficult or too fancy or something. Or, maybe it’s because they don’t have any chocolate in them. Yeah, that’s probably why. 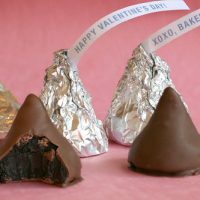 Recipes without chocolate usually get moved to the bottom of the list. The cookie dough is rolled in cinnamon and sugar, which gives them their signature look when baked. 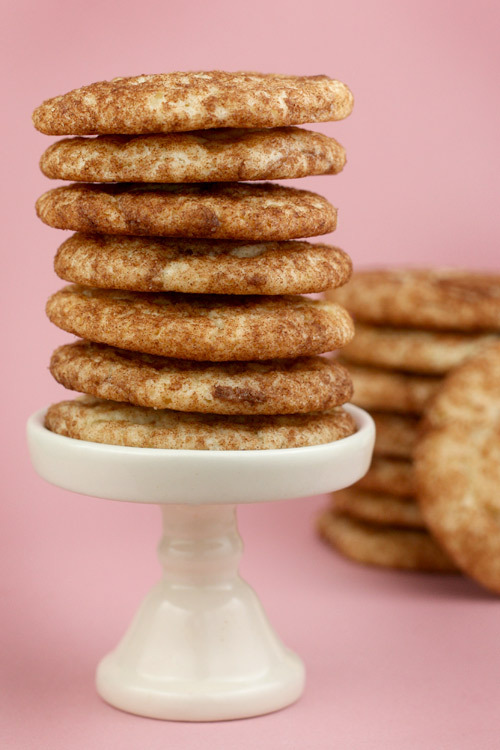 Here’s the original Snickerdoodle Recipe from marthastewart.com. It makes about 4 dozen cookies. And here is how I tweaked it slightly to make about 20 cookies. In a medium bowl, sift together flour, cream of tartar, baking soda and salt. Set aside. 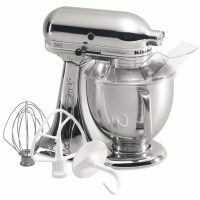 In a mixer, cream butter, shortening, and sugar on medium for about 2 minutes. Add egg and mix until combined. Add the flour mixture and beat until combined. In a small bowl, mix sugar and cinnamon. Bake for about 10 minutes or until the cookies begin to crack. Remove and let cool on a wire rack. Now… time to make the cupcakes. 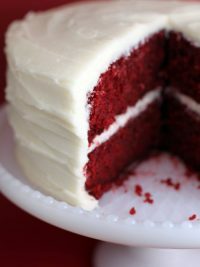 Here’s the original recipe from marthastewart.com that makes 28. And here is how I tweaked it slightly to make enough for 12 cupcakes and 12 mini cupcakes (not shown). Line regular and miniature cupcake trays with paper liners. In a medium bowl, sift together flour, baking powder and cinnamon. Set aside. In a mixer, cream butter and sugar on medium for about 2 minutes. Add eggs, one at a time and mix until combined. Add vanilla and mix until combined. 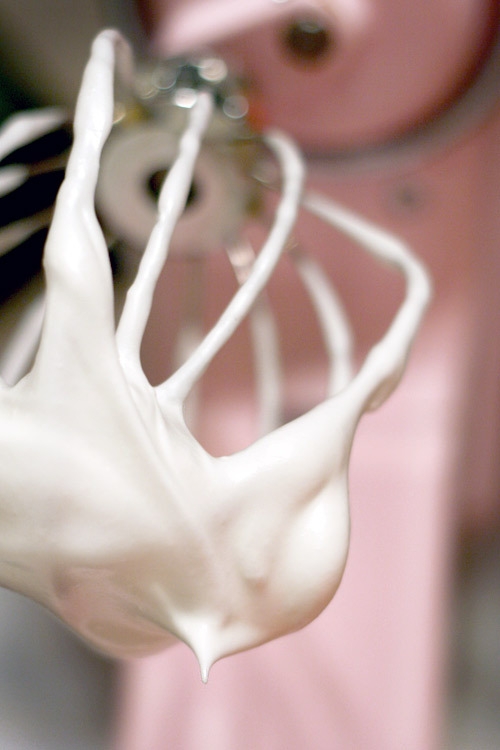 Add flour mixture to creamed butter and sugar in three additions. Alternate with milk in two additions. Fill baking cups about 3/4 full. Bake for about 15-20 minutes. Remove cupcakes from trays and let cool. To decorate, pipe on frosting, place one cookie on top and then pipe another dollop of frosting on top. 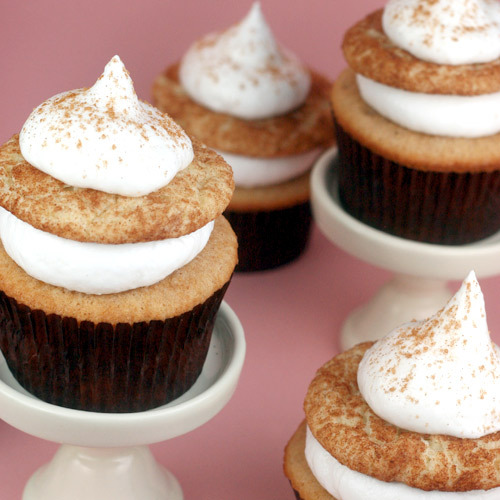 Sprinkle with leftover cinnamon and sugar from the Snickerdoodle cookie recipe. While the cupcakes are cooling, make the frosting. I used the same one Martha recommends. It’s a Seven-Minute Frosting. Recipe here. I’ve gotta tell you… I’d definitely make the cookies and cupcakes again… they were yummy. But I think I would have to try them with another frosting. 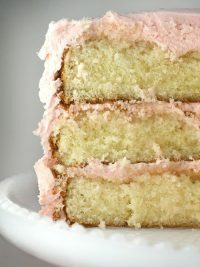 The seven minute frosting was kind of a pain to make and couple that with the fact that I’m not a big fan of light and airy or meringue-tasting frostings… well, I don’t think I’ll be making it again anytime soon. But they sure do look cute. By the way, did you even notice these super adorable cupcake pedestals? They come in a box of 6. Thank you Naomi, for sending me the link. And, the brown cupcake liners are from www.confectioneryhouse.com. Cookies or cupcakes? Cupcakes or cookies? Here – let me make it a little more difficult with a few pictures from the inside of each of these books. Just leave a comment on this post and let me know which book you would rather have. You get to choose. Easy. Leave your comment with a way for me to contact you if you win. One winner will be chosen at random and announced sometime Tuesday evening on this post. OK… TIME’S UP! 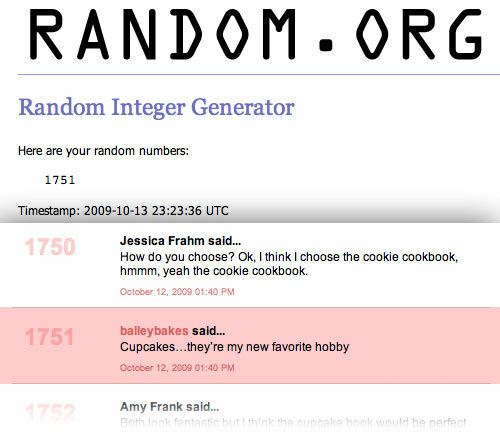 I actually started counting all of the entries to see how many people wanted the cupcake book vs. how many wanted the cookie book. But, I stopped after a couple hundred comments because there was no way I would be able to get that done tonight in time to announce the winner. But fyi, in the first two hundred plus entries, cookies were slightly edging out cupcakes. That’s good news for about half of you. Because all you cookie lovers are going to get another chance another day. The winner of today’s giveaway is a cupcake lover. Congratulations Bailey! 1,751 is your lucky number. Previous PostTrix out your treats! I have ALWAYS wanted the cookie book! You can never know enough ways to make cookies. 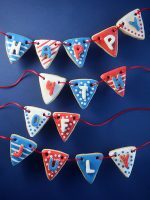 I would loooove Martha Stewart’s Cookies book! Also, those cupcake pedestals are adorable! Cupcakes, hands down! The pictures in that book are so enticing and whimsical. 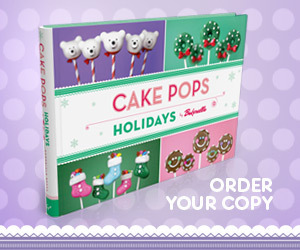 Oooo, cookie or cupcake book. Tough choice—how about cupcakes?! Love, love, love your ideas. I would love the cookie book. It would come in handy for new ideas for my annual Christmas cookie tray. Hmm, both look tempting, but I think the cupcake one is calling my name! And your cupcakes are so cute! And I really like those cupcake pedestals too! The cookies one! I might get pummeled for this one..cupcakes can get old..but not cookies! I would love love love that cookie book. Too cute! I love baking new, fun, cute cookies. My kids love cupcakes and I enjoy baking them. 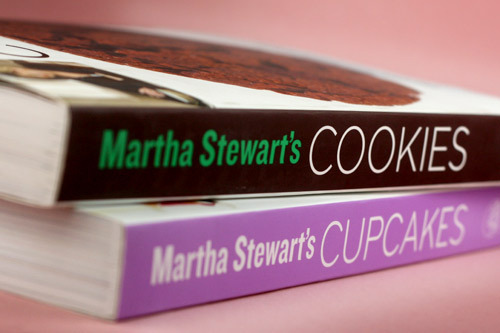 I would love having Martha’s cupcakes book. I would love the cupcake book!  And I am so on that link for the pedestals! I’m definitely making this recipe! The cookie book looks great!! As much as I love baking cupcakes, cookies tend to be easier time-management-wise. Love your site! I already have the cupcake book, so the cookie book it is! I would love the cookie book! I love Martha! I would honestly love to have either of these books. I have been eyeing them both, but if I had to choose just one, I would choose the cookie book. 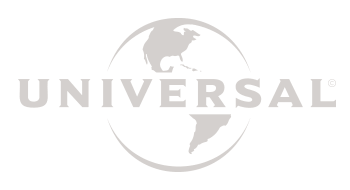 First, may I say how much I love your site, especially at its new home! Second, all of your work is amazing. And third (the reason why I’ve been buttering you up, not that it matters ;), I would love to win the cookie book! The cupcake book is awesome, but I already own it. Thanks for the contest! Wow, that is a tough choice….I would have to go with the cupcake book. Fun for parties and other events. P.S. Your new site is snazzy! Ooooo so yummy! And tough choice — I am a Cookies girl, so I’d have to go with that one! No choice here, has to be the cupcake one! I love a good cupcake anytime!! 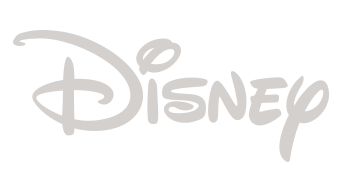 Love LOve LOVe LOVE your new site. You are rockin the oven girl, love it! Would love to have the cookie one for my 14 year old daughter who loves to bake cookies. Thanks, Bakerella! I love them both, but cookies are easier to pack in lunch boxes, so I’m going to have to go with the cookie book. Love the new look on the website! i love eating cookies more but i love decorating cupcakes more, hard choice….i will have to say cookies! Gotta be cookies! 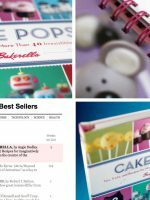 Bakerella, you are a fabulous lady, and your site is fantastic! 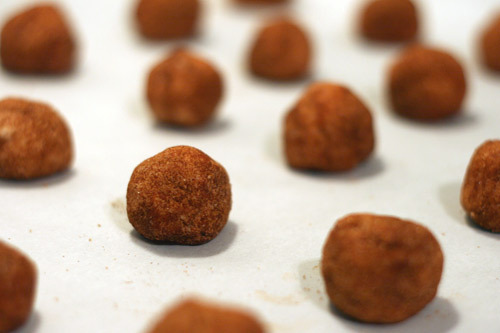 I stumbled upon your blog while googling “cake balls,” and fell instantly in love! :) Though I am the mommy of triplets plus one, I LOVE to bake! I’ve already made the little pumpkin tarts that you’ve shown and they were a big hit! 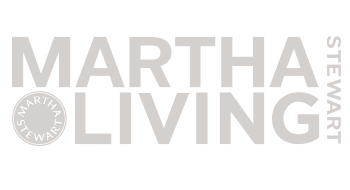 Anyways, I would be thrilled to win the Martha Stewart Cookie book! I think cupcakes are adorable, but we aren’t friends. I am hands-down a COOKIE kind of girl. 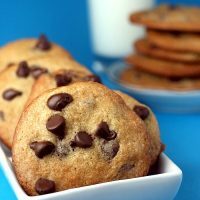 And thank you for the new recipes to try … my husband L-O-V-E-S snickerdoodles (though I always am in competition with his grandma’s recipe). We’ll see how the martha/bakerella version stacks up. Ooh, definitely the cookie book. I love baking cookies. would LOVE the cookie book!!! PS made the mini pumpkin pies last night for a craft night – they were gone before any appetizer!!! DELISH! oooh – tough call but would have to go for the cookies one! YUMMY! 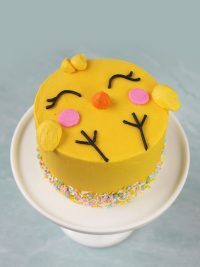 I LOVE your site, it gives me such inspiration to bake beautiful yummy treats~ I am gonna say the cupcake one would be so much fun ! I would love either!! I don’t own a cupcake cookbook so that would be great, but I also love to bake cookies!! By the way, I made the mini pumpkin pies last week and they were a huge hit! Loved them!! I can’t believe you had never made Snickerdoodles! Are they more of a Southern cookie? They are a staple in OK. I made snickerdoodles just a few weeks ago. We made them as a family every Christmas. Now I don’t wait for the holidays to enjoy them! Definitely the cookies! I am always amazed at the recipes that come out of the people at Martha Stewart.. and the way the recipes are so nice to work with and adapt. Your cupcakes with cookies were adorable and would make such a nice addition to a dessert plate during the holidays. Cookies! I’ve already seen the cupcake book so the cookie book would be neat to read. 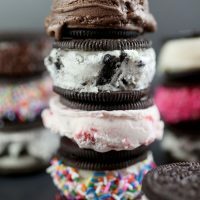 definitely martha stewart cupcakes -I need all the help I can get! I would love the cookie book! cupcakes!!!! with lots of frosting!!!! cookies! that’ll be perfect with the holidays coming up! So cute!! It be awesome to win the cupcake cookbook because I have plenty of cookie cookbooks! It would definitely be a nice change. very tough choice! hmm…cookies please! Snickerdoodles were the first cookie I ever learnt to cook up. Yet, I’ve since turned cupcake-convert and so would adore the addition of Martha’s cupcake book upon my cupboard. Nothing like making it difficult. I would LOVE the cookie book. Cupcakes!!!!!! I have SO many cookie recipes, but I’m always looking for something new with cupcakes. i absolutely LOVE snickerdoodles!! i have Martha Stewart’s Cupcake book but I haven’t gotten around to making the snickerdoodle cupcake yet.. I know, shaaaame. haha but I would love to have her cookie book too! I think the first time I had snickerdoodles was in college; they’d often have them for lunch in the dorms. Sorry to hear the 7-minute frosting was disappointing. 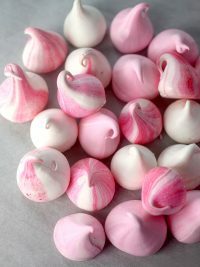 I’m always looking for alternatives to teeth-achingly sweet buttercreams. Oh my, it is so hard to chose which one I’d like to win most – I’ve been wanting both for a while now, and have been really excited since the Cupcake book came out, but I think I’d use the Cookie one more often if I’m selected as the winner. Thanks for the contest and the chance to hope I’m going to be the owner of one of Martha Steward’s recipe books. Cupcakes! My little boy will gobble down cookies by the dozen, but he takes his sweet time with the cupcakes…..and I think they’re more fun to make.  Love your website! 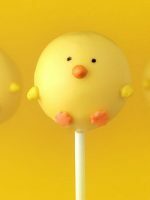 We’re now addicted to cake pops/balls and I’ll be making the groom’s cake out of cake balls for my sister’s wedding in April. Yum! That is a hard choice, but I think I would love the cupcake book the best! Recently I have really loved the thought of gourmet cupcakes, so I think that’s what I would choose. 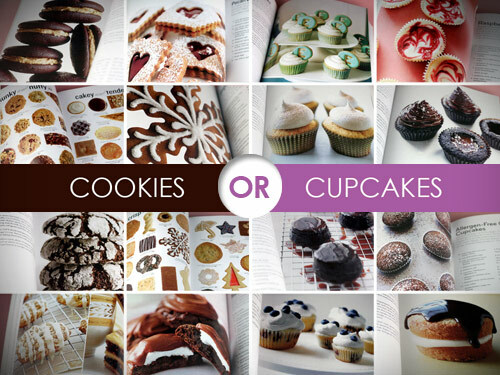 I would love to have either one but I’m a cupcake fanatic so definitely the Martha Stewart Cupcakes book would be my choice! And Snickerdoodles are the best! Yummmmy! What a tough choice! I think I’d choose the cookie book, though. Thanks for a delightful post. I’m glad it’s late, or I just might be tempted to bake something! Wow! Hard choice…I’ll go with the cupcakes! i would love the cupcake one as i already own the yummy cookie one. i’ve been dying to get the cupcake one if my DH would just understand my sweet tooth addiction. The cookie book would keep my 3 boys happy for a long time! Don’t make me choose! Okay, if I have to. Cookies! Cookies! 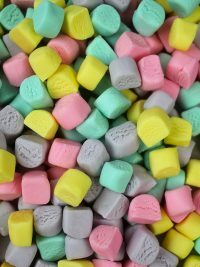 Those are the easiest things for me to make and put out in my office where they would disappear in the speed of light. Wow! Those snickerdoodles look so yummy! 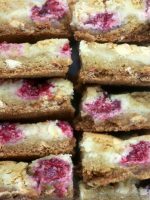 I’m going to have to try them one of these days because I’ve never made them either. I would love to have the cupcake book, they look so cute! P.S. Love the new site, great job! i would LOVE the cupcakes book!!! 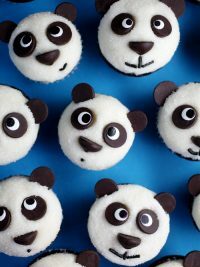 They’re adorable and look delicious! I recently received the Cupcake book but have yet to try anything! Thank you for some cupcake motivation! I would absolutely want the cookie book. I have been spying it for a long time. 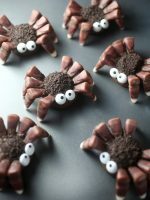 I am going to try making those tomorrow morning! It is Canadian Thanksgiving tomorrow and I wanted a fresh dessert to share with my American friends. I would love her cupcake book. I am far from perfecting my cupcake skills. Love your site! I would love either one! 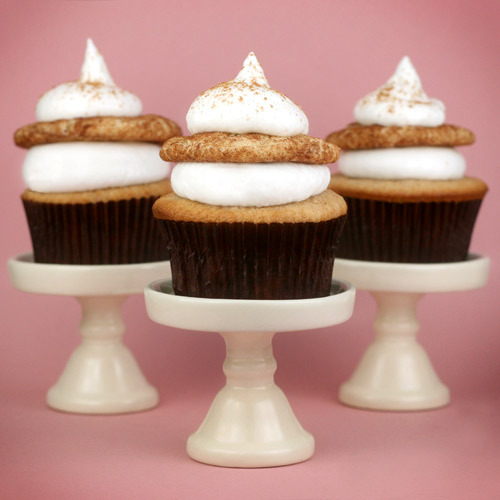 I’m more of a chocoholic, too, but I do like Snickerdoodles:) Those cupcake stands are adorable! I would pick the cupcake book. Lately I have been in a cupcake mood and haven’t been able to make any. My best friend and I would make great use of this book! I’m just learning to take more risks, risks meaning different flavors and ways of cooking, when it comes to baking. Baking sweets has never been kind to me, so I’m learning as I go. Having that Martha Stewart Cookie book may just help ease that road for me! Those cupcakes you’ve made look very very delicious!! Cookie book please. Cake is good, but COOKIES are what my little grand loves. Thanks! Cupcakes, of course! So much prettier! I would love to win the cupcakebook. I can’t believe I don’t have the cupcake book yet. I need it! Cookies! I love baking cookies! Oh.my.gosh. Those are SOO cute! You make me so jealous. and now making me choose between cookies and cupcakes? I would love to win the cupcake book. My 4 year old and I bake a different kind of cupcake every weekend and this would be a great addition to our ideas. I already own the cookie book and have been drooling over the cupcake book since reading through it in a store!